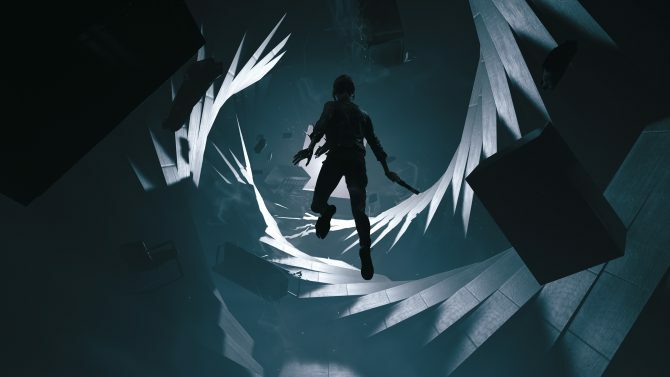 However, Remedy isn’t going to shove this heavy narrative down your throat, and instead if you prefer to play it as an action shooter, you are free to ignore the high concept premise for the mechanically sound third person shooting. Time’s effect isn’t limited to just the story being presented, as it also works its way into gameplay. 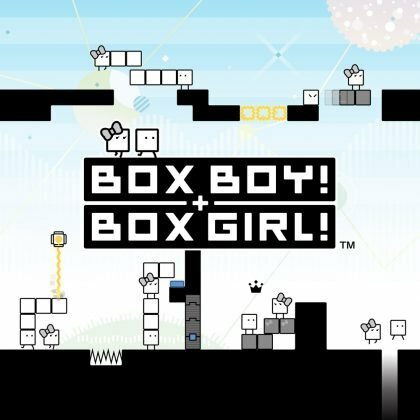 Whether boosting your combat capabilities, or helping solve platforming puzzles to proceed to the next area, time will be your greatest ally. Manipulating it to your advantage is key to succeeding against overwhelming odds. Jack Joyce is our central protagonist but not the only focus of the story. Quantum Break cleverly blends its role as both video game and live action TV show. The latter focuses on fleshing out villain Paul Serene and his Monarch corporation, while the former is all about Jack’s attempts to fix time. Paul is introduced to us as Jack’s best friend, an ambitious, but good hearted, scientist testing out his newest project, time travel. Jack and Paul’s back and forth dialogue is humorous, and helps introduce Jack’s brother William before he appears onscreen. 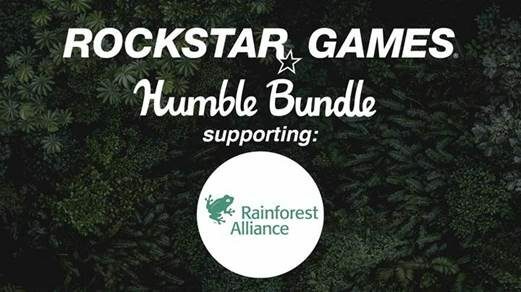 We are shown a strong relationship with Paul, which is what makes his reintroduction after the catalyst of the game’s narrative so interesting. 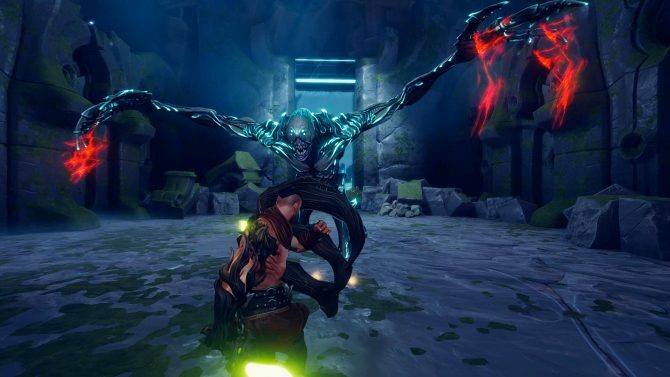 After an experiment gone wrong that gives Jack his powers, you escape with hiw brother William and are slowly introduced to the various powers at your disposal in and out of combat. At the close of Act 1, you discover Paul was affected by time breaking as well, and reacts violently towards your attempts to fix what happened. 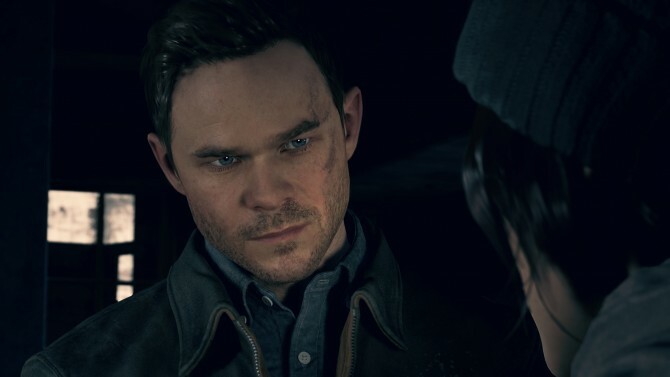 The mystery of why his attitude towards you has changed so drastically as well as the inherent complexity any story with time travel incurs makes me very excited to play through the full release of Quantum Break. The introductory chapter is pretty slow paced, which is fine as it introduces the major characters and premise. The amount of story-related items you can view also helps ease the pacing, as you are free to move about, reading up on the location you are at and the world at large. I don’t mind that the game was slowly introduced to me, but I felt that one too many times the game had me follow a character who walked way to slow in order to progress. Thankfully that is done away with midway through the first act, and begins to become the narrative focused third person action game we have come to love Remedy for. 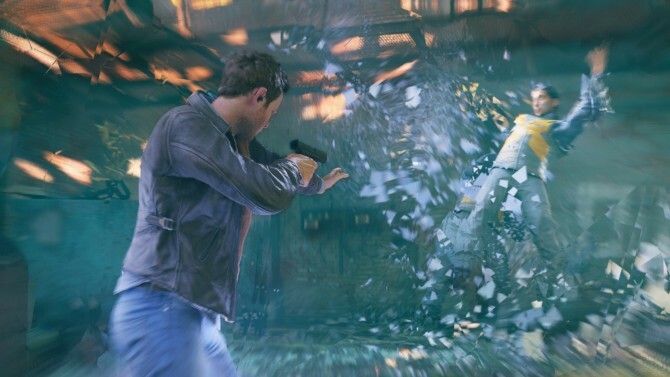 Quantum Break as a third person shooter works surprisingly well. 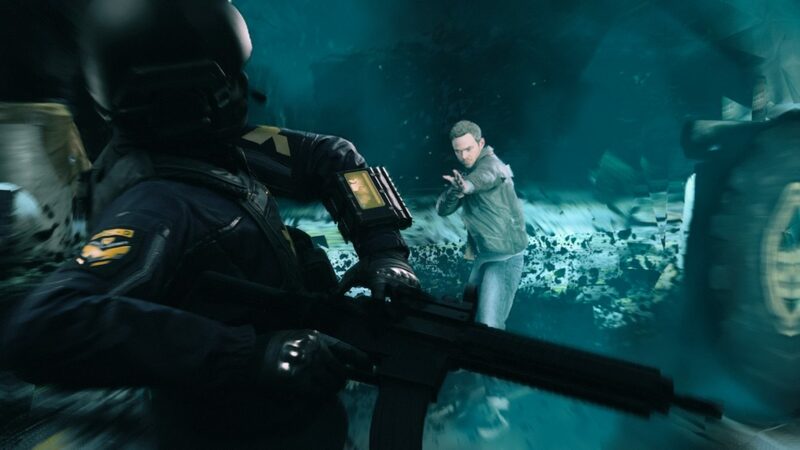 While Remedy’s previous efforts incorporated lots of shooting, whether the slow motion bullet time of Max Payne or the flashlight heavy combat in Alan Wake, Quantum Break is the first time the weapons have a large amount of weight to them. This is due to both the combined efforts of louder and more meaningful sound accompanying each shot, and the weapon bloom whenever a shot is fired. 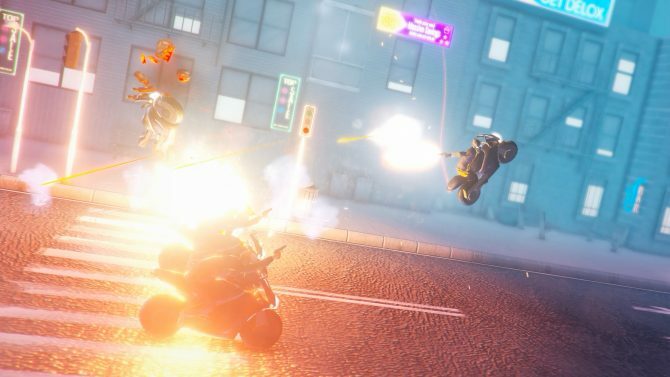 You can’t just point and let loose, as each weapon has significant kickback, especially the heavy pistol, which makes them feel heavier and more deadly to use. 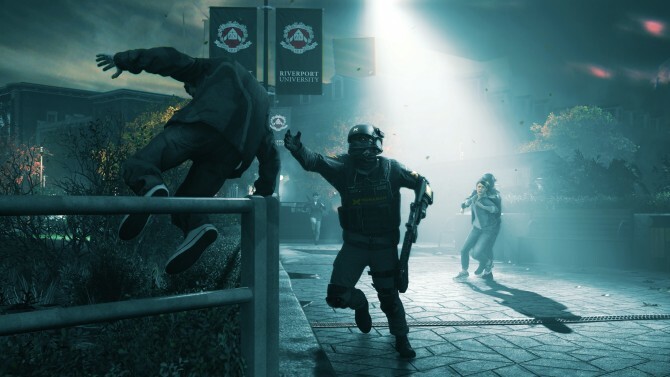 Quantum Break also incorporates the “time is broken” plot into its gameplay, as Jack is slowly introduced to his powers over the course of the first act. At first you simply walk around during stutters, moments where time is seemingly frozen, with objects floating in mid-air, and destruction constantly moving backward and forward in violent spasms. Then you learn to freeze enemies in a bubble, allowing you to unload a clip that strike all at once when the bubble is released. 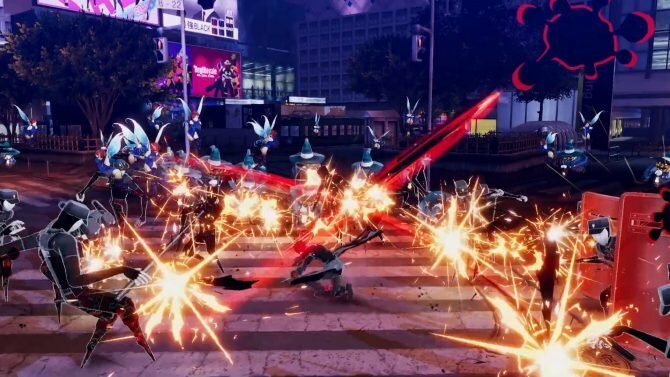 You can also move forward quickly, and aiming afterwards slows time down momentarily so you can take out whichever enemy you just flanked or escaped from. A time shield can be projected around your location, stopping projectiles coming at you, or for narrowly avoiding grenade explosions. Lastly, you also receive the standard vision power, which allows you to view enemies and important objects in the immediate area for situational awareness. This will also be helpful for finding narrative items and echoes that expand upon the events. Jack Joyce’s animations look great, and his movement throughout the locations doesn’t come across as a video game character in a static world, but more as an actual person. 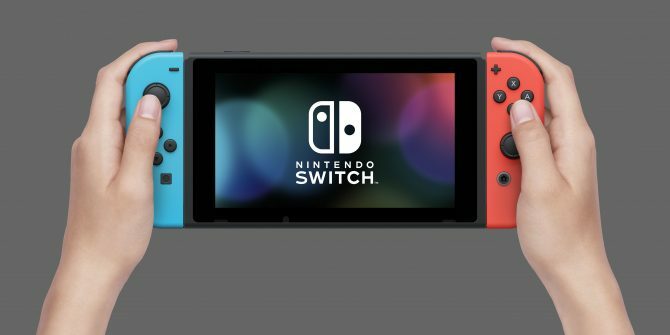 This is best exemplified by the cover system, which is a soft cover that doesn’t require a crouch button. Instead, whenever in combat, Jack will naturally move, crouch, and present himself as an actual person when against a wall or other form of protection. Moving in and out of cover was never a problem, and not once did I fight the system or die due to the game not recognizing my intention. 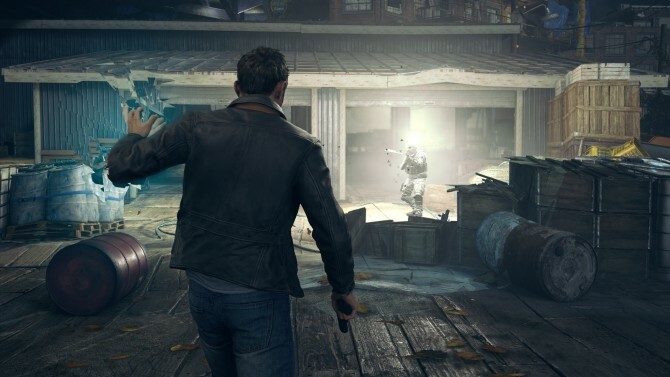 A live action television show is simply the culmination of Remedy’s previous efforts, as both Max Payne and Alan Wake had live action elements to them, but not on this level. 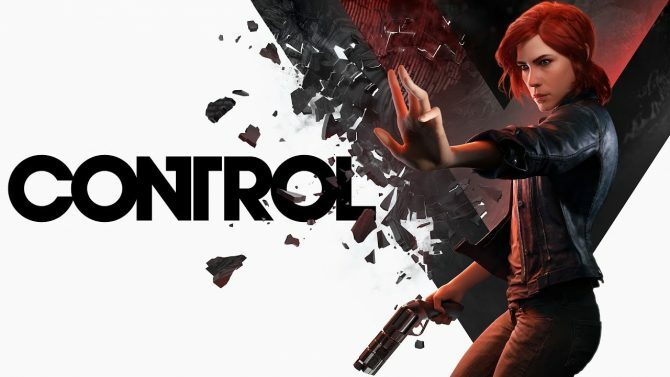 Now Remedy has a LA production studio to work with, to craft four full length episodes that showcase some secondary antagonists that you might not have given a second thought to. 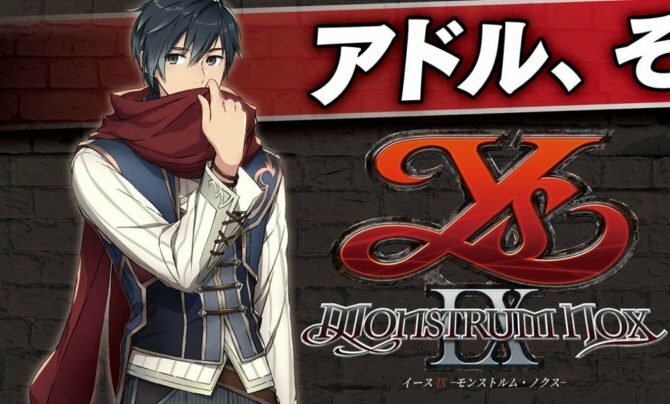 It is something that, if skipped, will adversely affect your playthrough, but is directly influenced by decisions made at junction points within the game. At the end of each act you will take control of villain Paul to make an important decision. Depending on the avenue you take, whether Hardline or PR, you not only influence the next TV episode, but also the way the world will react to Jack Joyce in the next act of the game. While the show is upwards of 20 minutes, it didn’t feel out of place with the surrounding gameplay, and came at the right moment that I was ready for a break. Quantum Break might be Remedy’s most ambitious title, casting movie stars in its leading roles and including a TV show affected by your actions, but it still has the high quality we have come to expect. 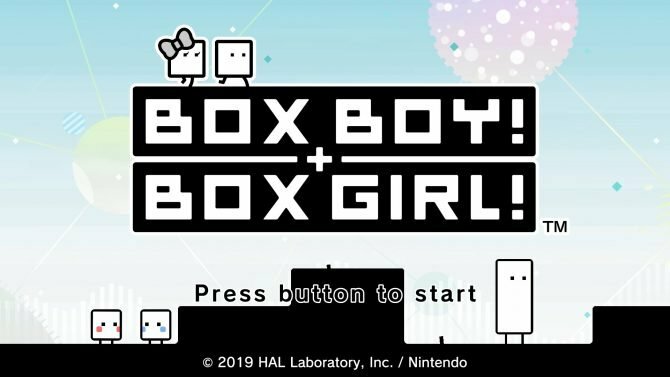 The gameplay is fun, with time powers making the third person shooting something that won’t become routine, and with characters who come across as real people thanks to their performance and the game engine’s ability to portray them in real time. While the introduction can be a bit slow, I am very excited to play it again, find the story-related collectibles I missed, and blast away at Monarch’s grunts.